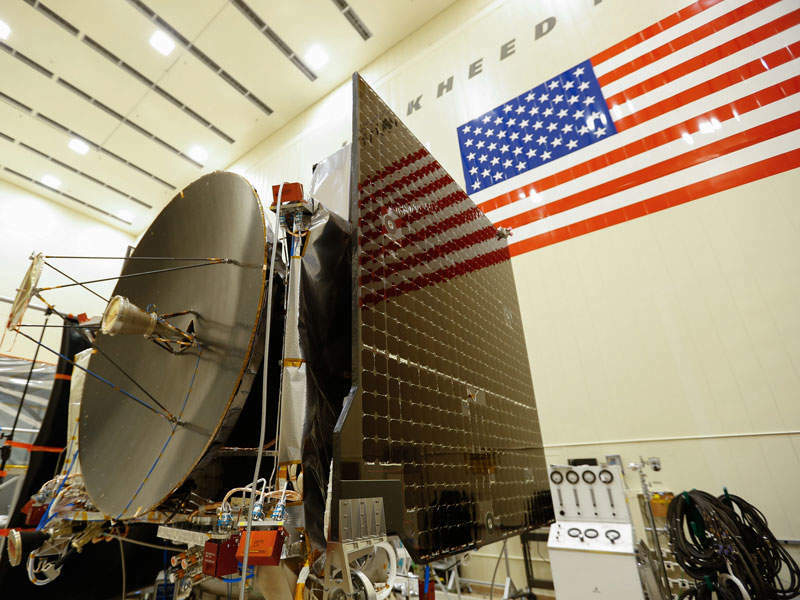 The OSIRIS-REx spacecraft will be launched from Kennedy Space Centre in September 2016. Image: courtesy of Lockheed Martin Corporation. The spacecraft will return to Earth with 60g of pristine regolith sample from Bennu asteroid in September 2023. Image: courtesy of Lockheed Martin Corporation. The spacecraft was shipped to the launch site in May 2016. Image: courtesy of Lockheed Martin Corporation. The Origins-Spectral Interpretation-Resource Identification-Security-Regolith Explorer (OSIRIS-REx) is an experimental asteroid sampling spacecraft developed by NASA. The spacecraft is intended to travel to a near-earth asteroid called Bennu in September 2016. It is expected to reach the target in October 2019 and return to Earth with at least 60g of small samples for study in September 2023. Formerly known as 1999 RQ36, Bennu is a carbon-rich asteroid, which is located 509 million miles away from earth. The OSIRIS-Rex spacecraft mission is expected to explore the asteroid, which may hold evidence to the derivation of the solar system and may also contain organic molecules that may have started life on earth. Lockheed Martin was awarded the contract to design and manufacture the OSIRIS-REx spacecraft, asteroid sampling system and the sample return capsule. The assembly and manufacturing of the OSIRIS-Rex spacecraft systems was completed at Lockheed Martin’s Denver facility. 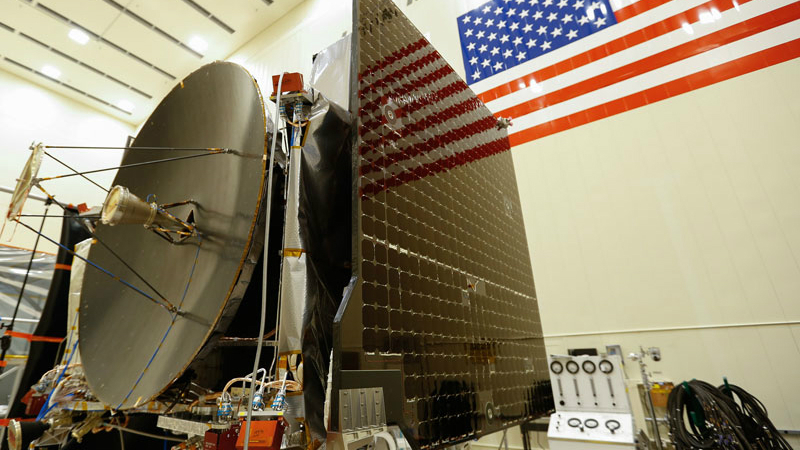 Malin Space Science Systems (MSSS), a company based in California, was contracted to provide a touch-and-go-camera-system (TAGCAMS) for the OSIRIS-REx mission in May 2014. MSSS delivered the camera system to Lockheed Martin in October 2015. The overall OSIRIS-REx spacecraft mission management systems engineering and safety and mission assurance is provided by NASA Goddard Space Flight Centre. The science team and observation planning and processing is lead by the University of Arizona, and NASA’s Marshall Space Flight Centre located at Huntsville, Alabama, manages New Frontiers for the agency’s Science Mission Directorate in Washington. The spacecraft launch and management will be performed at NASA’s John F. Kennedy Space Centre in Florida. The spacecraft has cubical shape with a height of 2.72m and width of 3.1m, two solar Y-shaped wing arrays with a collecting area of 8.5m². The power from the solar arrays will be stored in lithium-ion batteries. OSIRIS-REx will have a launch mass of 1,529kg. 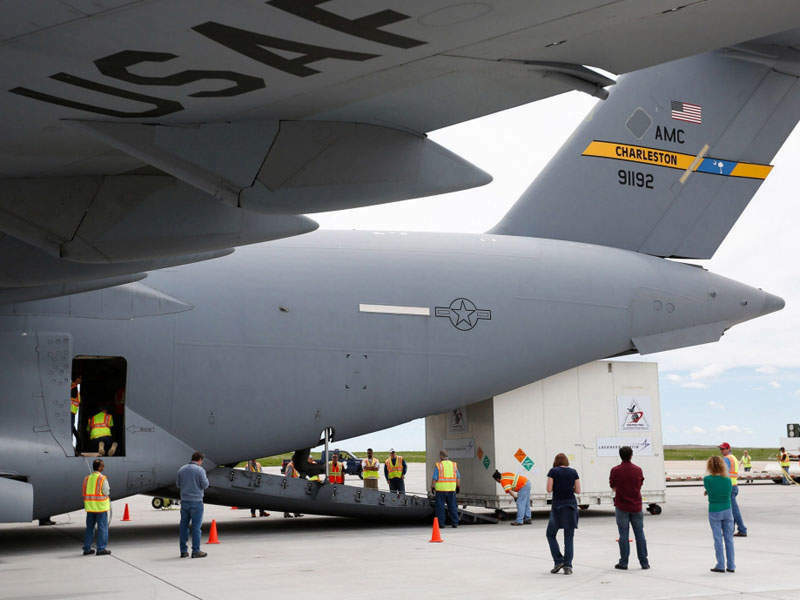 Its shipment from Buckley Air Force Base in Aurora to Kennedy Space Centre’s shuttle landing facility was completed in an Air Force cargo plane in May 2016. It is currently undergoing final testing and configuration for flight including a spin test, solar array release test, electrical system testing, as well as propellant loading for the launch in September 2016. The space is fitted with OSIRIS-REx Camera Suite (OCAMS), which will provide long-range global mapping, sample-site characterisation, sample acquisition documentation, and sub-mm imaging. 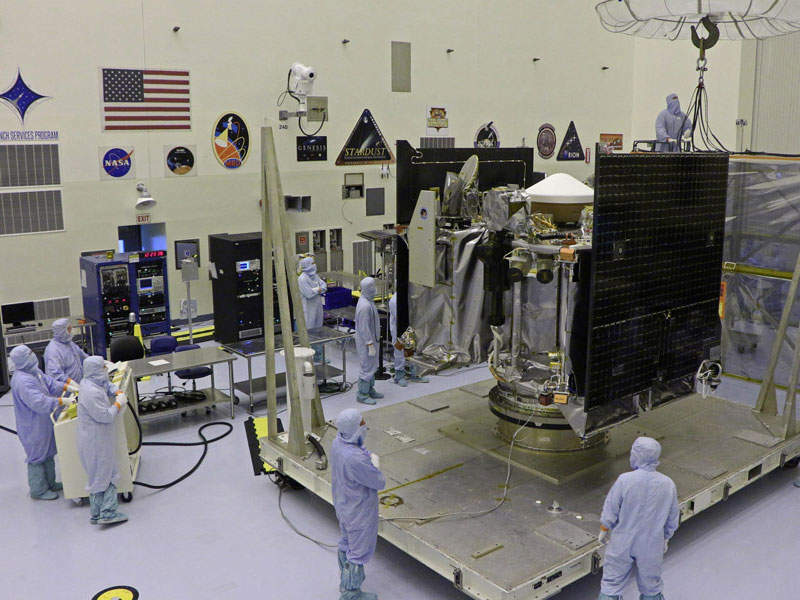 It includes the OSIRIS-REx Laser Altimeter (OLA) developed by MacDonald, Dettwiler and Associates that will offer ranging data, global topographic mapping, and local topographic maps of candidate sample sites. OSIRIS-REx Visible and IR Spectrometer (OVIRS) will give mineral and organic spectral maps and local spectral information of candidate sample sites, and the OSIRIS-REx Thermal Emission Spectrometer (OTES) will provide mineral and thermal emission spectral maps and local spectral information of candidate sample sites. The Regolith X-ray Imaging Spectrometer (REXIS) jointly developed by Massachusetts Institute of Technology (MIT) and Harvard University will provide an X-ray spectroscopy map of Bennu, and the touch-and-go sample acquisition mechanism (TAGSAM) will collect 60g of sample from the asteroid. "It is expected to reach the target in October 2019 and return to Earth with at least 60g of small samples for study in September 2023." OSIRIS-Rex will land on the Bennu asteroid in October 2019, map the surface from a distance of 5km to a distance of 0.7km and will study the asteroid for up to 505 days to obtain 60g of pristine regolith and a surface material sample. It will then return to Earth in a Stardust-heritage sample return capsule in September 2023. The sample will be delivered to JSC curation facility for worldwide distribution and research. The pristine regolith sample will be analysed to study the nature, history, and distribution of its constituent minerals and organic material. The mission will also include measuring Yarkovsky effect on a potentially hazardous asteroid. The spacecraft will be launched aboard United Launch Alliance Atlas V 411 rocket in September 2016. The V 400 series includes the flight proven 4m diameter 12.0m (39.3ft) large payload fairing (LPF), the 12.9m (42.3ft) extended payload fairing (EPF), or the 13.8 m (45.3ft) extended EPF (XEPF). 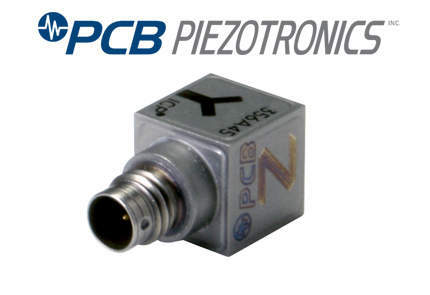 PCB Piezotronics provides signal conditioning instruments, sensors and cables to the aerospace sector. 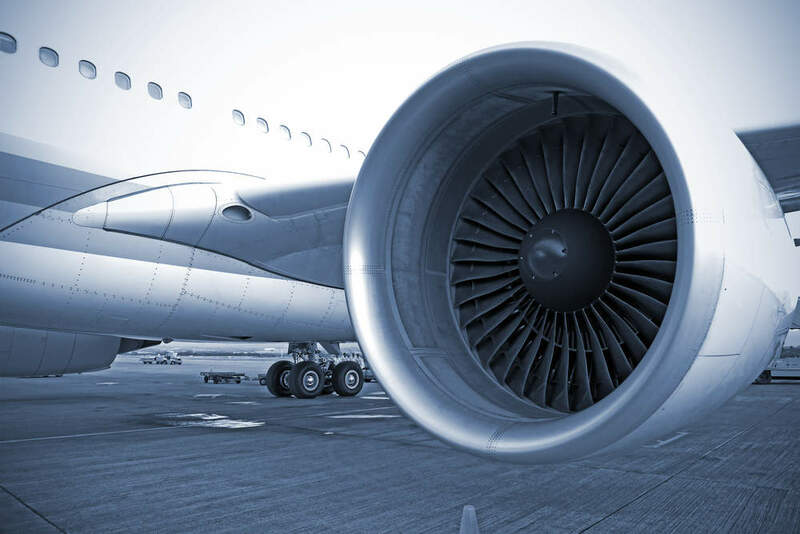 With the move toward increased fuel efficiency and lower exhaust emissions, today's gas turbine engines are based on technological innovation yet also bring potential problems. 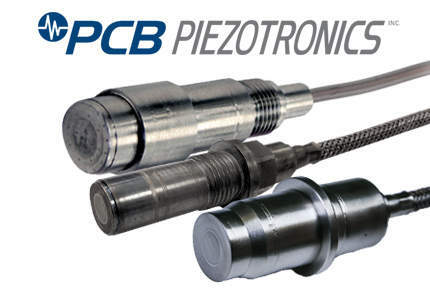 Miniature triaxial ICP® accelerometers are available in a variety of sensitivities to suit specific application requirements.